Additionally, multigateway rules can be defined to force connections going through one of the gateways based on source, destination or port. With the WAN failover feature, you can configure a set of probes: pings, DNS queries or HTTP requests to check if your gateway and Internet connection is working properly. 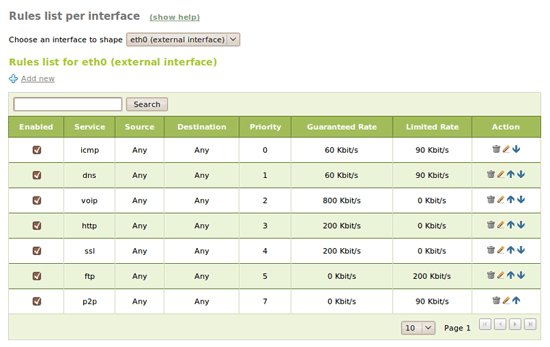 If a percentage of probes fail, the gateway is disabled and in the next test, we try again to see if it's back working. Multigateway rules for the failing gateways are disabled and use the default interface. When the gateways come back, they are set up again automatically. We will do the same for the other external interface eth2. To easily configure all the computers on our LAN network, we will need a DHCP server, a DNS server and a NTP server. DNS caching server and NTP server will work out of the box when we enable the modules. 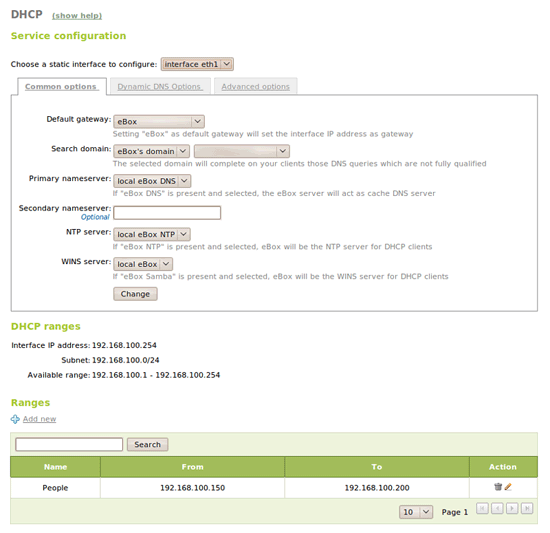 To configure DHCP, just go to the DHCP menu. There, set up the eBox as the default gateway, DNS, NTP and maybe other advanced options and a network range for the DHCP pool. Static leases based on MAC and other features like dynamic DNS or PXE are also possible. 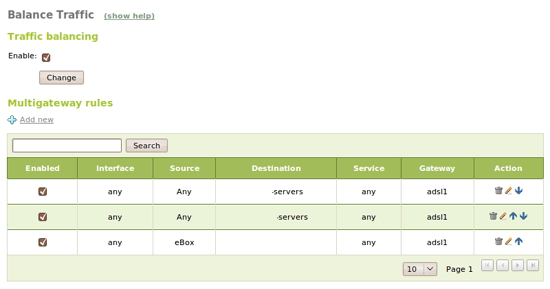 The last module to configure in order to have a full featured Gateway is our HTTP proxy. eBox uses Squid and Dansguardian for this. The HTTP proxy module uses the network objects to apply the rules, like Firewall or Traffic Shaping. Authorized options are not compatible with Transparent Proxy so these won't be considered for this scenario. On HTTP Proxy -> Filter Profiles we can define different filtering profiles. The default profile is applied to everyone. 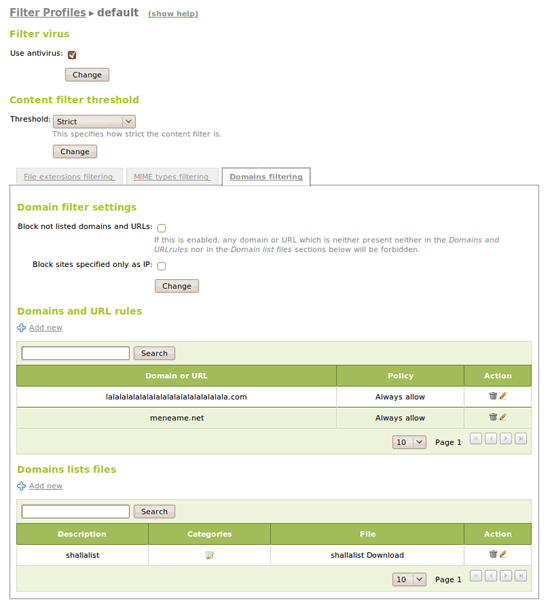 With these profiles you can force virus analysis on downloaded files, dynamic filtering based on keywords level, file extensions and MIME types policies. You can also define blacklists, whitelists, block unknown addresses and upload URL databases to allow or forbid categories.